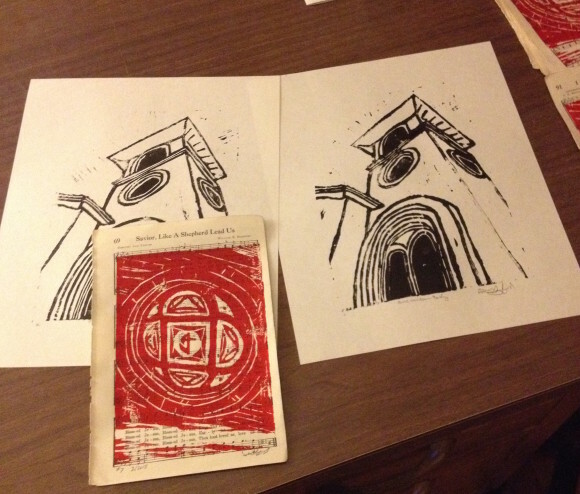 These are 2 prints (12 prints on each set) I did for the Youth at FUMC New Iberia. One is of the Belfry (bell tower) of the church and the other is of the stain glass window in the belfry printed on old hymnal pages. All sales of the prints go to the summer missions projects. They are $10 a piece. If you would like one leave me a comment or email me. Thank you!